The design begins with a 100% discrete circuit that is completely void of IC's. Although IC's certainly have their place in cell phones and other devices where size is of importance, they invariably employ hundreds or even thousands of transistors to boost the signal then use excessive negative feedback to keep things under control. As the HA15 employs single transistors, negative feedback can be scrupulously added so that the phase cancelling effects are minimized. This results in a much more open and natural sound with virtually zero artefact. Connecting to the HA15 is done using gold-plated RCA connectors that will not tarnish, thus ensuring a positive connection is maintained. This is supplemented with a pair of THRU connectors to allow greater connectivity options when setting up the system. An abundance of power for the headphones assures the HA15 will gracefully handle any impedance from 8 Ohms to 400 without choking. 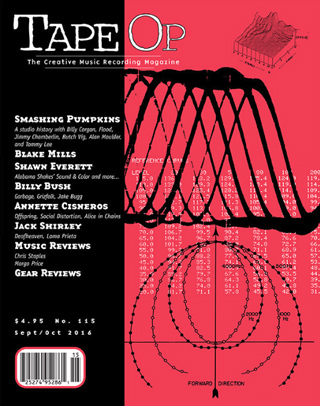 To bring greater excitement to the listening experience, a unique Focus control allows the user to activate a matrix that simulates listening to speakers in the open air. In other words, where headphones typically isolate the left and right signals from each other, loudspeakers in a typical acoustic space are heard in both ears. The Focus control lets you dial in as much of the cross-talk to suit while retaining a distinctive left-right mix. Instead of today’s popular surface mount ‘cell phone’ parts, the HA15 uses full sized resistors and capacitors that are hand inserted to deliver the very best audio quality. 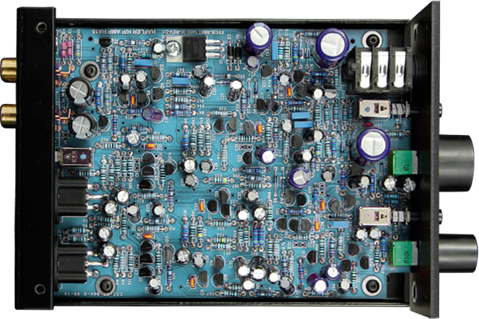 Instead of typical mass-market chips (integrated circuits) individual transistors are used at each gain stage to minimize negative feedback and eliminate sound-degrading artifacts. 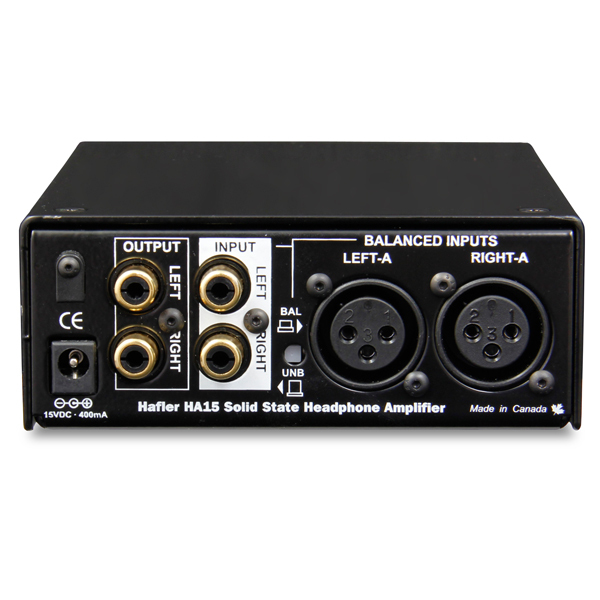 Can I connect to the HA15 using a speaker output? No. 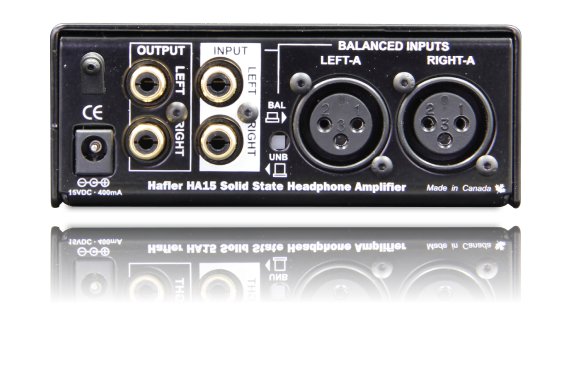 Speaker outputs produce too much power and will damage the HA15. Can I use ear-buds with the HA15? Yes, but you have to be very careful. 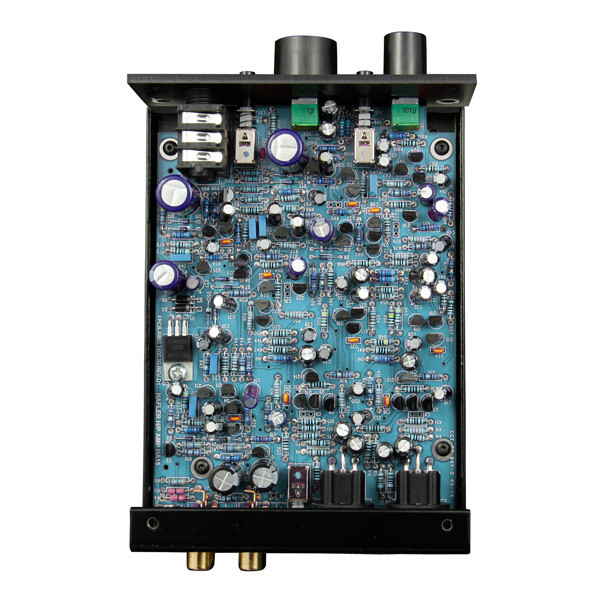 Ear-buds are designed for low output headphone amplifiers. The HA15 is very powerful to adapt full size headphones. If played too loud you can damage your ears. Why does the HA15 employ an external power supply? Although no one likes external supplies, there are several reasons for this. First is safety. 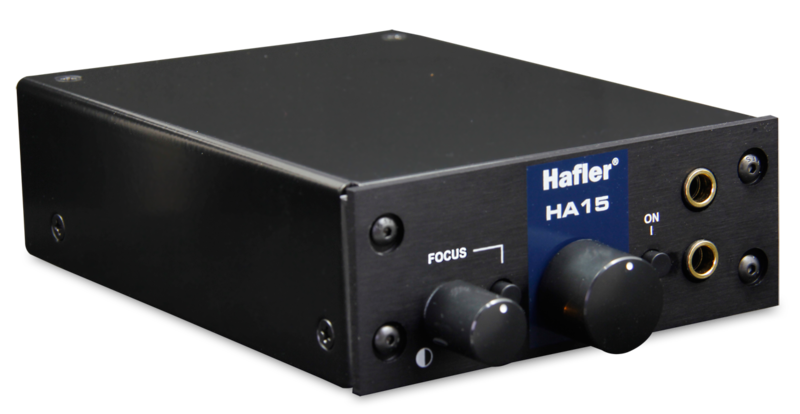 The HA15 employs a power supply that has been tested and approved for use in most countries around the world. Also, power supplies tend to be the most common point of failure with any electronic device. Should a problem occur, replacing the power supply is easy. Finally, power supplies are the prime cause of noise. By taking it out of the enclosure, you will experience less noise. Where is Hafler actually made? Hafler products are proudly made in Canada! Can I use the output as a second input to mix two sources together? No. Although the output is a simple pass through, connecting more than one source to the HA15 could cause noise and hum problems. 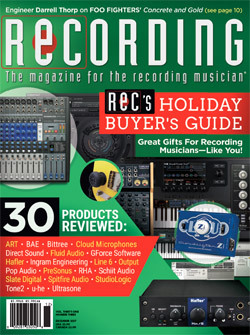 Can I use the HA 15 in a recording studio? Yes of course. 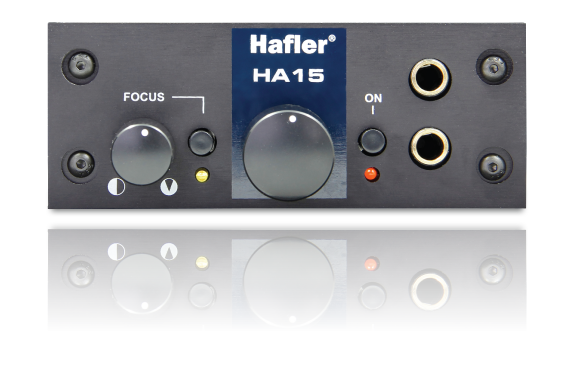 The HA15 has plenty of power for use in a recording studio, both for mixing or for monitoring. Why does the Focus control seem to make music louder? Because it is combining sound from both the left and right channel. Can I damage the HA15 by leaving it on? 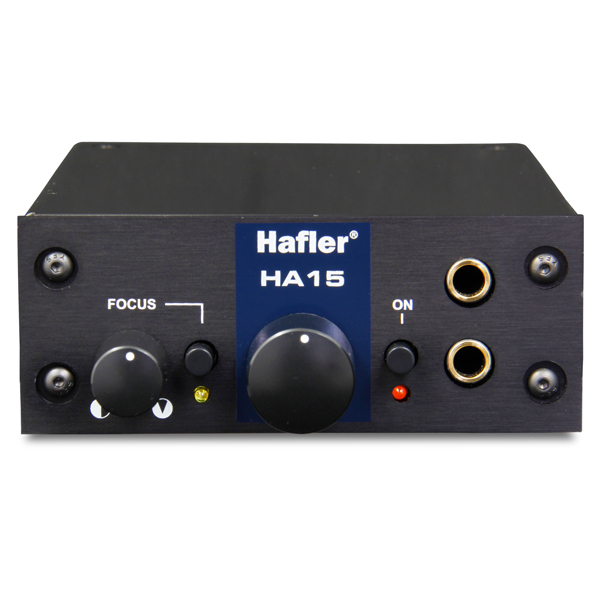 The HA15 provides amazing audio from any analog signal. I drove it from a couple of mixing consoles, as well as from a Schiit Audio Modi 2 D/A converter (review forthcoming), and the sound was nothing short of addictive: punchy, incredibly detailed, with great stereo imaging that was fun and instructive to alter with the Focus control. 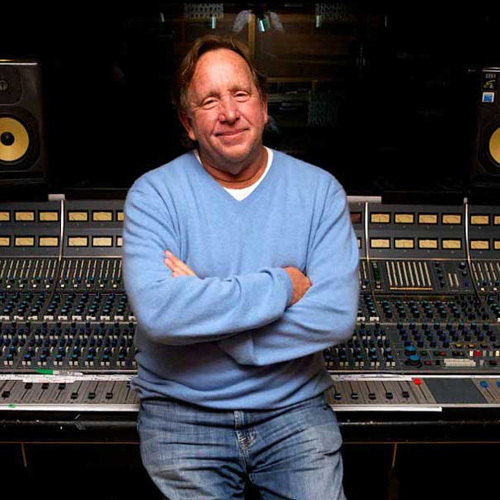 These days, pro audio's end products often live in the "Headphones World." The home stereos of the past have been supplanted by the mobile devices of today. Fewer listeners have full-size speaker systems, and much listening is done through various grades of "personal monitoring," be it earbuds or headphones of varying quality levels. 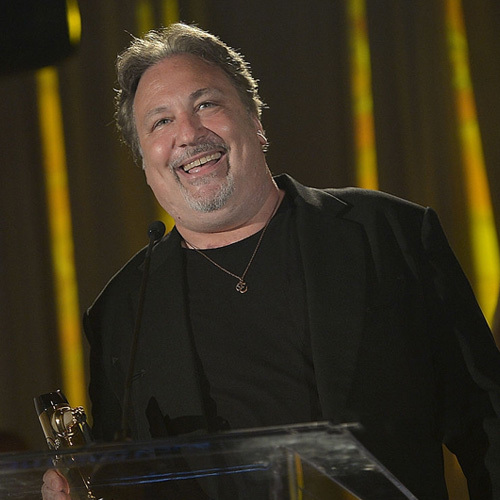 The key takeaway for an audio professional: A final master needs to sound good in the Headphones World. 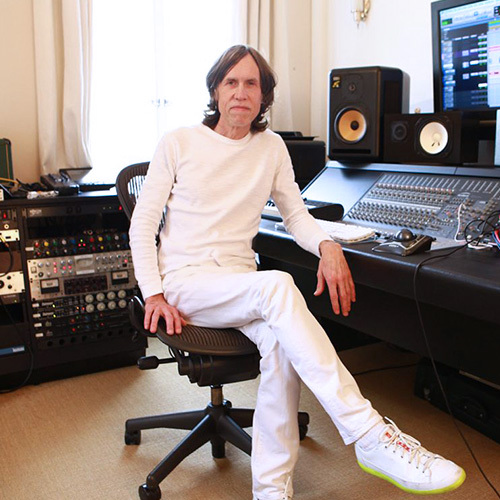 To accomplish this goal, excellent headphone monitoring in the studio is key. 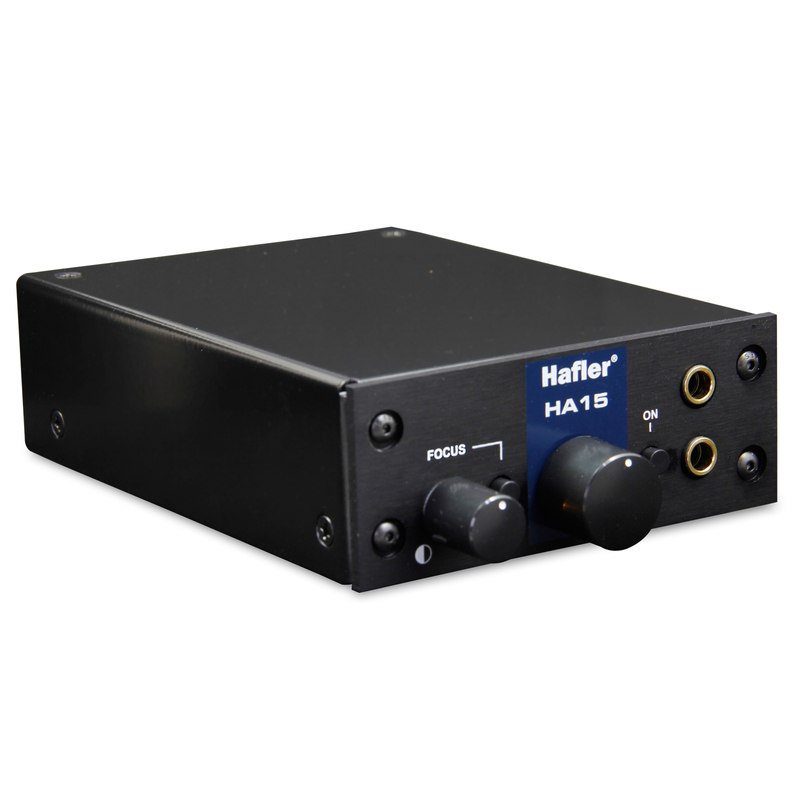 "The folks at Hafler are helping break down the long-held convention that mixing with headphones is bad with the HA15 and HA75 Tube Head headphone amplifiers. 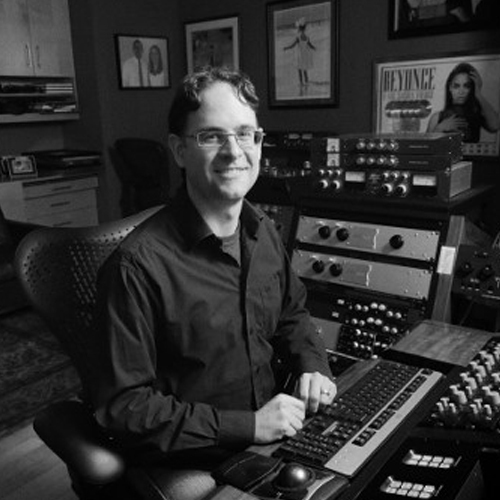 The focus knob and the warmth of these units had me checking my mixes more critically than ever before. 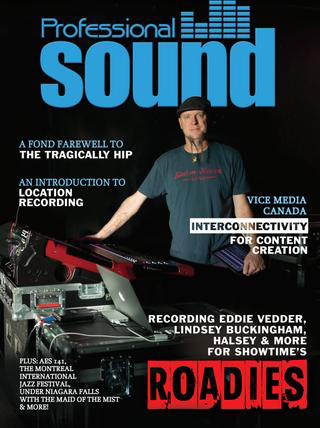 It's great to have Radial, a Canadian company, furthering the legacy of such a high quality-product."